Now here’s a dilemma. I’ve been a staunch supporter of the plans for a new bridge in Walton ever since the idea was first mooted. I urged Surrey County Council to stop faffing about and get on with it. And when the construction got under way, I was full of praise for the way it was being carried out and for the design of the new bridge, which I still think is outstanding. And then they go and do something daft which affects me – and dozens of other boat owners who keep their boats at Bridge Marine under the shadow of the new bridge. The road layout that allows access both to the Bridge Marine yard – and to all the houses in Thames Meadow – has to be altered to allow for the construction of the new roundabout that will be built at the Shepperton end of the bridge. So the construction crew have blocked off the old access to Thames Meadow, which allowed a gentle curve onto the road leading down towards the river and have put in its place an acute-angled turn which will make it very difficult, if not impossible, for long vehicles (like cars towing boats on trailers or removal vans) to turn in there. My boat is 26-feet long. On its trailer, it is more than 30-feet in length and then you have to allow another twelve or thirteen feet for a towing vehicle. I do not look forward to trying to manoeuvre that load round an acute-angled bend down a fairly steep incline. Jenny Beagle, the owner of Bridge Marine, has already taken this up with Surrey County Council complaining that it will affect her business. 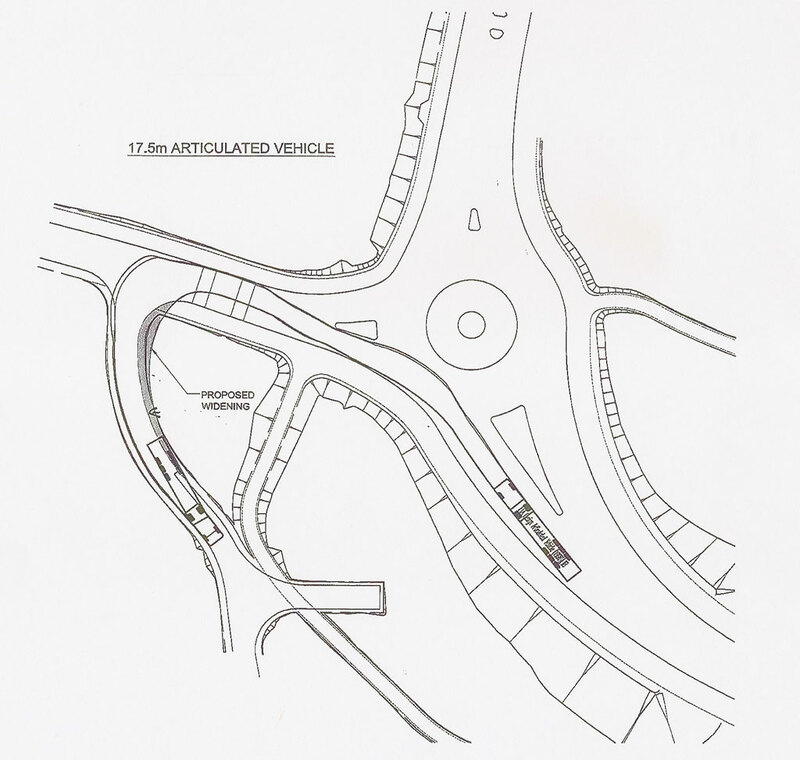 The council’s response has been to send her drawings of the new road layout when the whole job is complete dismissing her concerns and saying that their calculations show that a 17.5m articulated lorry will easily be able to navigate the turning. Sorry fellas, I just don’t believe it. When I visited the yard last week, I arrived at the new turning just as a long wheelbase Transit van was trying to pull out. The driver had to reverse backwards and forwards several times before he could make the turn – and that was a Transit van! You can just imagine how difficult it will be to get several tonnes of boat on the back of a trailer in or out of there. I do, of course, understand that much thinking and planning has gone into the new layout of the roads around the bridge but I do get really frustrated when officialdom effectively dismisses genuine concerns – concerns that could severely affect a business – with a kind of ‘now look here, young man, we know we’re right ’ attitude. Ms Beagle regularly has boats delivered. 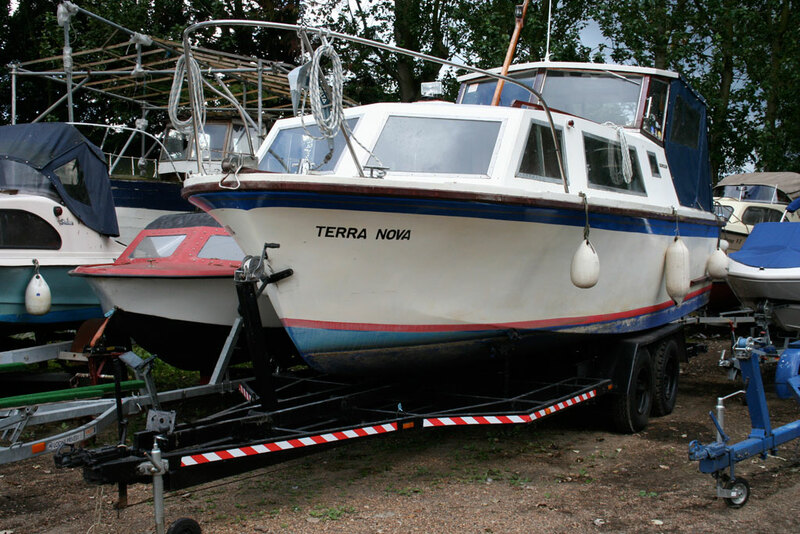 Many of her clients – like me – like to move their boats out of the yard from time to time and this is simply going to make life more difficult. I HAD a wonderful time on Saturday meeting the members of the Weybridge Ladies’ Rowing Club down at their clubhouse opposite Shepperton Weir. I went along to apologise for forgetting to mention them in my column about rowing clubs on our stretch of the river and discovered a vibrant and enthusiastic group of ladies who are standard bearers for women’s rowing. Next week, I’ll tell you their story.